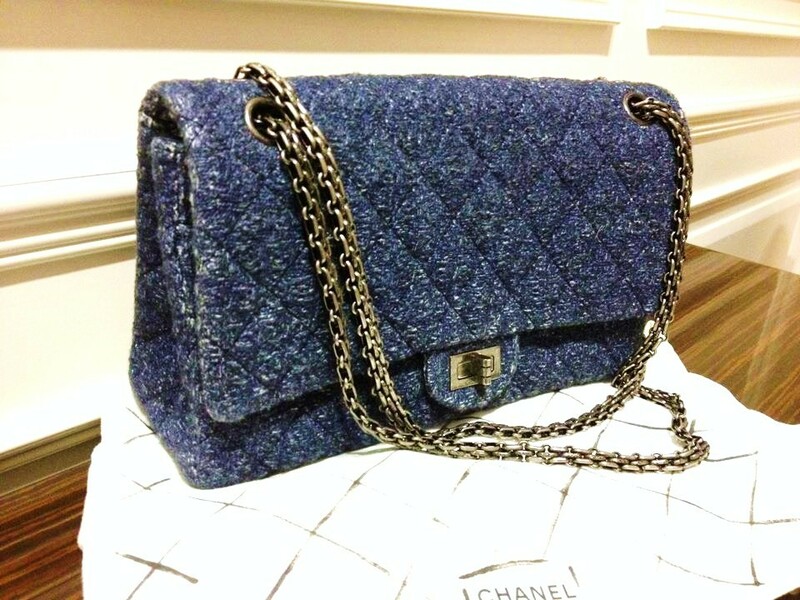 It was years ago that I missed an opportunity to buy a denim classic bag from Chanel. While I guessed I missed the boat again last week while a family member was in Paris. I am glad someone has the chance to get the bag even if it is not me. Since I am so casual, a denim bag will be perfect to become an everyday bag. Casual denim with structured silhouette is the perfect effortless combination for any savvy gal. What do you think of Chanel denim bags or denim bags in general? If you are looking for the denim bag pre-owned, check out Heritage Auctions. They have lots of chanel bags and you can buy directly from their website. Always love the classic Chanel's quilted patterns. Denim makes it unique. I like the classic shape and style combined with a "modern" touch of denim. I'm definitely a fun!